The event takes place on the 20th of July starting at 22.00. We are excited to announce the next Religion of Bass party. This time we will be in the Panke. 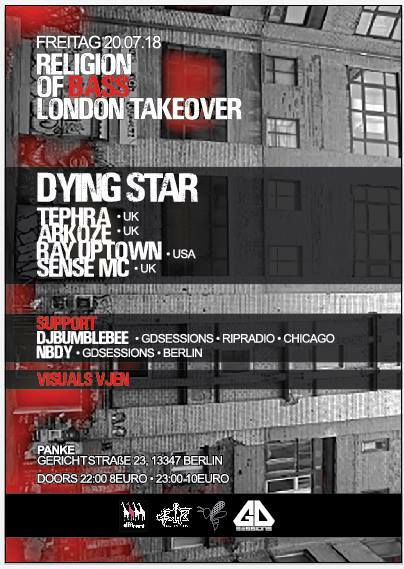 For the first time in Berlin, we have invited Dying Star ( TEPHRA, ARKOZE, RAYUPTOWN, SENSE MC) all the way from the UK. They represent Metalheadz, Diffrent Music and Dispatch Recordings.